Thanks to Arnie for the heads-up on pet DNA ID. His dog Duncan is 70% border collie, 20% australian shepherd and 10% dalmation. I need to raid my piggy bank to see if I can help pay for a DNA test for me. What the heck--I'll just use my plastic card or PayPal. 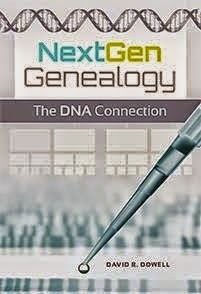 Maybe I will find out who my great great grandaddy was.